Carousel Twist Pile Bedroom Carpet in Black (78). Bedroom carpets with a 12mm depth and a soft twist pile. Suitable for most areas of the home. 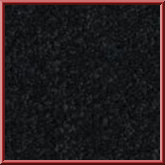 Deep black bedroom carpet, perfect for todays modern homes. Carousel Twist Pile Bedroom Carpet in Dark Grey (76). Bedroom carpets with a 12mm depth and a soft twist pile. Use our handy price calculator to help work out the cost of your new dark grey bedroom carpet.